Life’s a beach. 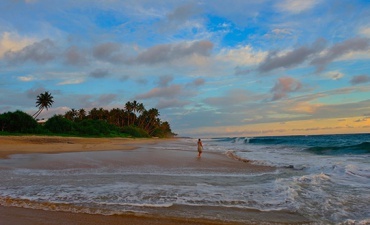 Sri Lanka’s best beaches: for water-sports, and the remote, unknown and unpoiled. Sri Lanka is one of the best holiday destinations in the world for a beach getaway. The ever-varying coastline is wonderful to explore: from the deserted beaches of Jaffna and the tranquil, golden sands of the south, to the popular water-sports spots and spectacular coves of the east coast, Sri Lanka has the perfect beach for you. Laze on the sand with a book or a cocktail, or wander along by the edge of the waves. Go surfing in Arugam Bay, jet-skiing in Bentota, or kite-surfing in Kalpitiya; try snorkeling at Pigeon Island in Trincomalee, or scuba diving at The Basses in the south, or head out to sea on a luxury catamaran for a morning of whale and dolphin watching in Mirissa, or for a half-day sailing adventure around secluded coves. Passikudah is home to one of the longest stretches of shallow coastline in the world – walk out for meters into the sea with the water just lapping your legs. 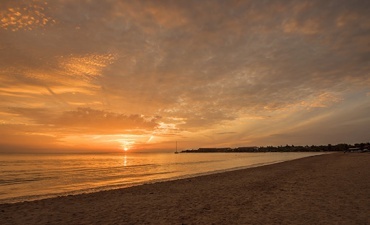 Our beach escapes include stays at some of the island’s most stunning bays, as well as wildlife experiences and visits to unmissable cultural sites – if you can tear yourself away from the spectacular coastline. Whether you are seeking a romantic escape or a family holiday filled with exhilarating water-sports, SriLankaInStyle has the itinerary for you, and of course our tours can be tailored in any way you wish. Get to know the shallow beaches in Passikudah and go on a safari drive in Gal Oya with this 14-day itinerary covering the island’s East Coast. Catch up on some much needed beach time in Sri Lanka’s South Coast with this 10-day itinerary covering the south including the renowned Galle Fort. Map out your perfect trip around Sri Lanka using our interactive travel planner and let us help you bring it to life!